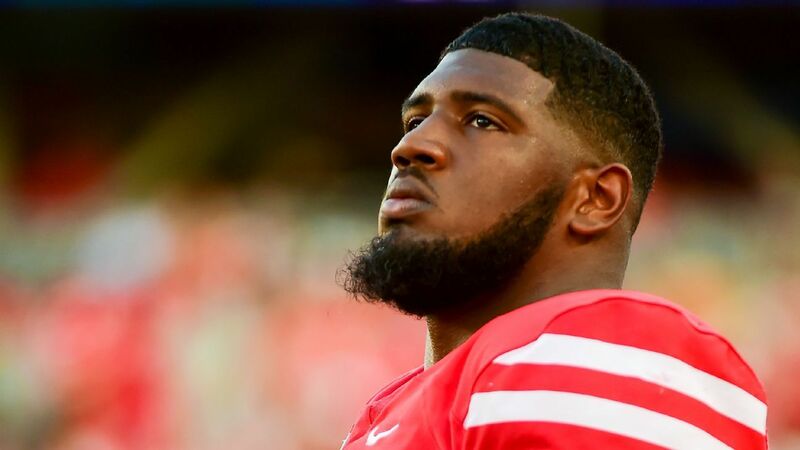 All-American defensive tackle Ed Oliver will not play Saturday night when Houston visits SMU because of an issue with his knee. Oliver, a junior who declared for the NFL draft before the season, was originally expected to return to action Saturday but decided to sit out when he did not feel comfortable on his knee after warmups, the team said. He missed the Cougars’ 57-36 win over USF in Week 9 with a knee bruise, an injury he suffered during an Oct. 20 win over Navy. Oliver is widely considered to be a potential top-five pick next spring and is No. 2 overall on Mel Kiper Jr.’s latest Big Board. As a sophomore, Oliver became the first underclassman to win the Outland Trophy, and he has 51 tackles and 13.5 tackles for loss this season.